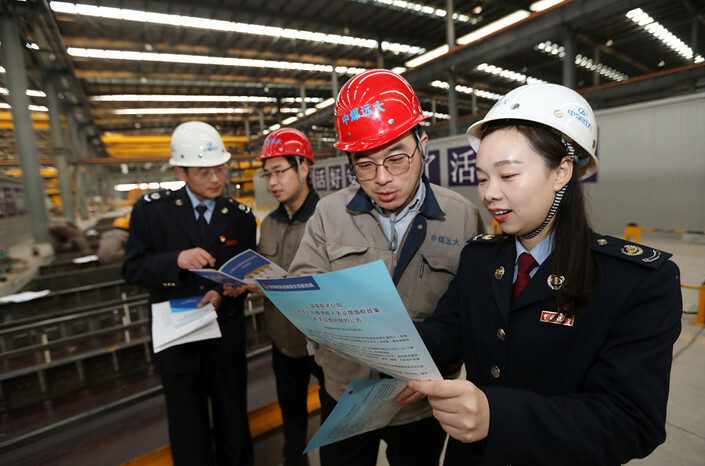 China will cut the rate of value-added tax (VAT) to 13% from 16% for manufacturers from April, and cut the rate for transportation and construction companies to 9% from 10%, which is a key measure to reduce businesses’ tax burden, improve income distribution and support employment. Conventional fiscal theory argues that companies can transfer their VAT burden on to consumers. However, I think VAT is a company’s direct tax burden. A company is required to pay VAT as long as it is in business, and it also has to bear a VAT burden for its unsold products. Based on our research in 2018, VAT makes up 80% of small and midsize enterprises’ tax burden on average. Therefore, VAT cuts will most effectively lower business costs and product prices, stimulating consumption. Lowering the VAT rate to 13% from 16% will mostly lower tax burdens for traditional sales companies — mainly in the manufacturing sector and the wholesale and retail sector — which provide more jobs than other types of companies. Out of the 179 million urban jobs in 2016, 57.7 million, or 32%, were in these two sectors, according to the National Bureau of Statistics. In 2017, these two industries’ employment demands made up 47.4% of the national total, data from the Ministry of Human Resources and Social Security show. Therefore, to stabilize employment, policymakers need to support these two industries first. However, the reality is just the opposite. 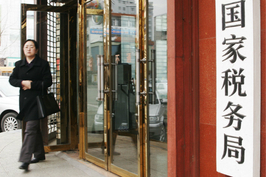 Tax revenues from the industrial sector — including manufacturing, mining and utilities — grew 15.9% in 2017, while those from the wholesale and retail industry grew 20.3%, both of which were higher than the average revenue growth rate, according to the Annual Report on Fiscal Policy of China compiled by Liu Shangxi, head of the Chinese Academy of Fiscal Sciences. The excessively fast growth of tax revenues in these two industries was related to the improper design and implementation of previous policies. Companies to which the 16% VAT rate was applied contributed 54.2% of total VAT revenues in 2017, according to academic estimates. That means they were the main taxpayers in the country, and thus reducing their tax burden would significantly reduce the corporate tax burden in general. Tax reform in 2016 altered the tax revenue structure, although this benefited only a few industries, including property developers. Tax reductions for manufacturers were worth slightly over one-sixth of the entire tax reduction. In 2018, policymakers lowered the VAT rate by 1 percentage point. 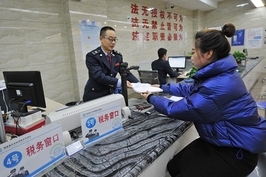 The government estimated that this would lower the tax burden by 240 billion yuan ($35.7 billion), less than a quarter of the annual tax reduction target of 1.1 trillion yuan for that year. In reality, smaller tax cuts are likely to be monopolized by the other end of the supply chain, and only a few firms can benefit. Small and midsize companies were asked to lower their product prices by their downstream buyers, as the buyers knew VAT rates had been lowered, according to research we did last year. Business owners said greater tax cuts will give them more room to negotiate with both upstream and downstream companies, and the actual effect of tax cuts will be more significant. 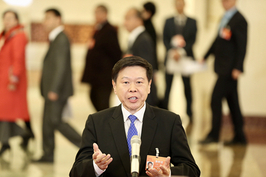 Policymakers’ moves to greatly lower VAT rates have laid the groundwork to further simplify China’s tax system and accelerate the pace at which the three tiers of VAT rates will be consolidated into two.